Early Monday morning, the campaign for Bernie Sanders announced he'd join Hillary Clinton at a rally on Tuesday, where he is widely expected to give his long-awaited endorsement to the presumptive Democratic nominee. The Vermont senator will join Clinton in Portsmouth, New Hampshire, at a rally at Portsmouth High School. Sanders' press release said that the two presidential candidates would "discuss their commitment to building an America that is stronger together and an economy that works for everyone, not just those at the top." Sanders has yet to officially drop out of the race for the Democratic nomination, even though Clinton had passed the delegate threshold to secure the party nomination early last month. Many have been wondering when Sanders would officially give his stamp of approval to the former Secretary of State. He has already said on MSNBC's Morning Joe that he'd vote for Clinton last month. When asked if he'd cast his ballot for her in November, he said "Yes," and claimed "I will do everything I can to defeat Donald Trump." In an extensive interview with C-SPAN, Sanders also admitted, "It doesn't appear that I'm going to be the nominee, so I'm not going to determine the scope of the convention." At the same time, many have wondered if Sanders would remain in the race and refrain from endorsing Clinton until the party's convention in Philadelphia. 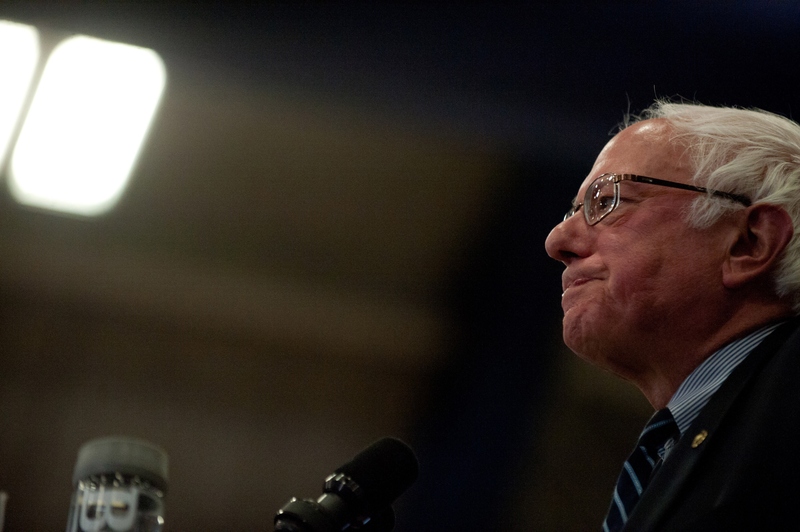 However, the Vermont senator has been facing increasing pressure from fellow Democrats. POLITICO reported last week that some House Democrats booed Sanders and asked why he hadn't endorsed Clinton yet. According to officials present who spoke to Politico, Sanders responded, "The goal isn't to win elections, the goal is to transform America."